How did you get in touch with Jon Anderson? We knew each other from the past. When I was with the band Mahavishnu Orchestra with John McLaughlin . When we toured in 1974 or ’75 in the U.S we did one show with Yes. The two bands together. And then, maybe 10 years later I was in the offices of Atlantic Records in Los Angeles, coming out of a meeting because that was the record label I was with at the time and Yes was also in Atlantic Records. He was walking in to a meeting, so we cross passed. We were introduced and we talked briefly. I told him that I really admired his singing and creative songwriting and he said that he liked my violin playing and my music too and even suggested at the time that we do a project together at some point. But then, we never met again and you know life goes on and we put in contact again a year ago. A producer of his was talking about me doing a violin solo on his song “Go Ahead”. And when we got in contact, we came up with the idea putting a band together. So, it’s funny that it happens so late. But better late than never. You are writing music for the debut album of Anderson Ponty Band. Can you give us some info about its sound? It’s always difficult to describe sounds with words. I would say that there is his musical personality, which means the way he sings, the kind of melodies he always wrote with arrangements that are a lot more up-to-date in terms rhythms and sounds. But we are going to play a very limited number of classics of each other. Because I know the fans are always happy to hear some pieces that they liked in the past and we like to play still today. But some pieces we did –him and me- are still sounding very good today. So, we keep that. The idea is to keep the musical personalities of the original sounds, but the production on it will be more modern. Why you decided to start a Kickstarter campaign for the recording of the album? That was really a management’s choice. We have a manager in common, he is who put us together, and he had interest from record companies. No problem. But, I guess he wanted to keep control and use today’s ways of producing an album as opposed to the old way when an artist had no other choice than signing with a record company. He decided to go this way and then Jon and myself said: “It’s ok. Let’s do it. Let’s see how it works”. For the rest of the interview, please visit the Hit Channel website! 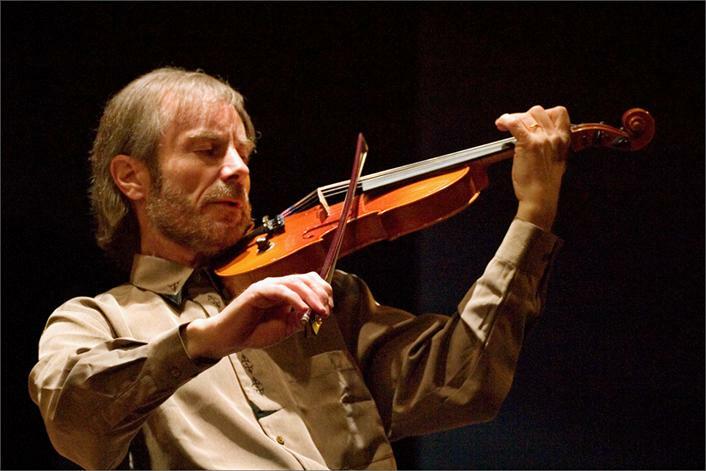 This entry was posted on Monday, August 4th, 2014 at 18:26	and posted in Interview, Jean-Luc Ponty. You can follow any responses to this entry through the RSS 2.0 feed. « Capt. Beefheart Guitar Legend Zoot Horn Rollo Releases Four New Digital Only Tracks!